We all look better with a little mood lighting – thankfully, Hourglass have captured the effects of the most flattering light forms (from morning light to candlelight) in this beautifully buttery, ultra-flattering illuminating powder. Capturing, diffusing and softening harsh light and concealing imperfections, this is a game-changer in the glowing stakes, delivering multi-dimensional, soft-focus luminosity. 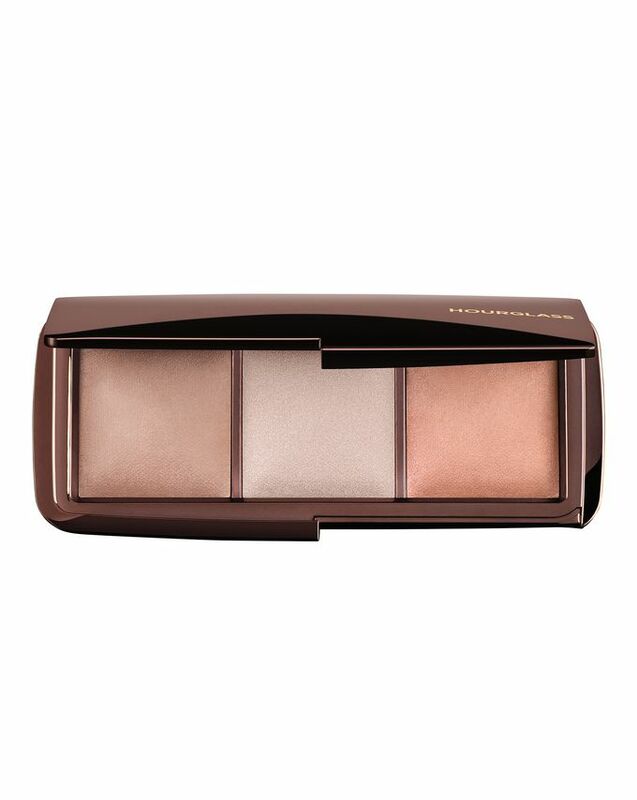 This palette trio unites peach, golden beige and opalescent pearl hues, which can be applied individually or layered to imbue skin with a gorgeous, multi-dimensional glow. Apply each colour separately or layer up for a multidimensional glow. Apply with a powder brush all over the face, or use to accentuate your face’s highest points. Always wanted to try Hourglass as they looked beautiful... and they really are. Subtle colour that can be built up, the highlighter shade on my pale skin is lovely. Love this palette would repurchase. Love this palette, I use it as a soft focus powder, bronzer, blush, highlighter and also an eyeshadow. Impeccable quality. The best thing for the face! It looks as if I have a filter on, in photos as well! It hides your pores and makes relaxed look. Highlighter is so delicate, but looks so natural. Bronzer is as well so natural and versatile for different skin colours. I have very fair skin, my mom is light to medium and my sister is medium to dark and we all loved it cause it passed for all of us. From the day I have purchased this palette, I don't use nothing else except my mascara, and my sunscreen. I use it to set my base, to highlight and warm my cheekbones and to add colors on my eyelids (over an eyetint). I could use it in my coffee too, for extra sparkling mornings..haha... I suggest you to invest on this trio. I absolutely love this product. One of my top 10 beauty favourites! I use dim light to set my foundation, radiant light as a soft bronzer and incandescent light as a more natural highlighter. It may not seem that special at first but under certain lights it gives the most beautiful glowing effect. It was definitely a good investment and I intend to purchase more shades very soon! Soft powder that sits beautiful on my skin. I love this product and use it every day. Like nothing I have ever tried!! This powder is out of its league!! The most delicate shimmer. 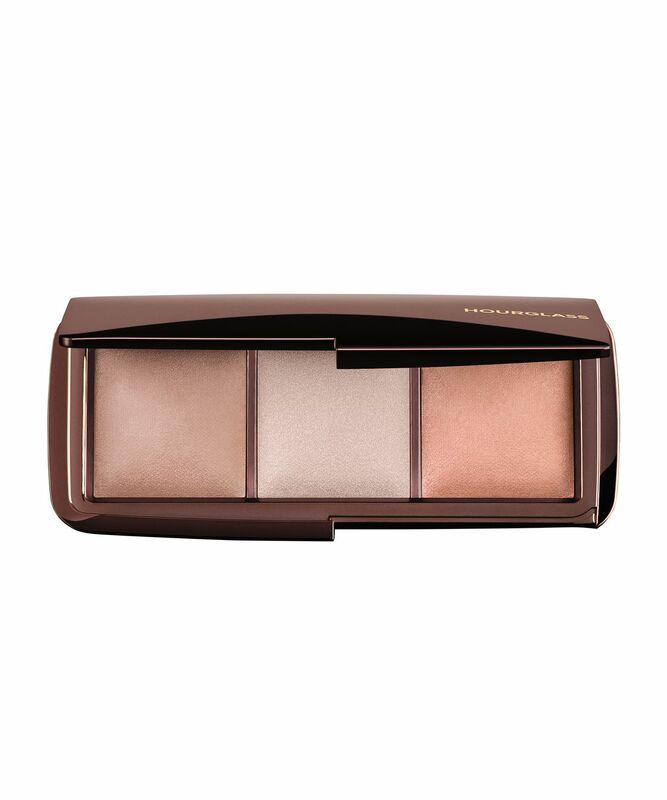 Amazing for under the eyes to brighten, when layered it works as a “lit from within” highlight. As I am very fair, I mostly use the shade Incandescent Strobe light, I wish they had it as a single. Dim light is even more subtle, great for forehead or other parts of the face where you wish for the slightest sheen. I LOVE this palette. I am super pale so I use it as a setting/finishing/blushing palette in one. I have combination acne-prone skin and can attest to these do not bother my skin at all and stay on all day. The Dim Light is the best for subtle-natural sculpted cheeks look - I don't know what it is about that beige shade but if I want an easy natural contour I pick it every time. Radiant Light is my bronzy colour. It's warm but not orange, and it just brings life to my cheeks. Incandescent Light is not one I use much. I can't detect it on my skin by itself. I use it as a topper for my other Ambient Light shades as a subtle highlight because it does show up then. I really enjoy using this palette, my skin looks fresh and glowy everytime I use it. This is the most amazing powder for your skin - it completely blurs imperfections and creates very subtle dimensions, if you know how to use it. I have warm skin so use dim light during the winter as my all-over colour, and switch to radiant light when I have a bit of a tan (I use that one as my bronzer/subtle contour when my skin is paler). The highlighter is super - not glittery but just gives you that lit-from-within glow. It's pricey but lasts a long while - I've had mine over a year and still have loads of product left. Plus it's free of nasties so my sensitive skin loves it. Thanks, Hourglass! I got this almost a year ago and there are loads still in it. I use it almost every day and it adds a subtle finish. The colours are all great and I particularly like the radiant light which is like a bronze effect on my pale skin tone. Lovely colours which I’d buy again individually. The delicate texture of this palette will help you to create a truly chic look, a must have for every self-respecting girl. I am happy with my purchase from Cult Beauty! This palette is definetely my favorite, sets the makeup without giving you this powdery dry effect. I am disappointed. The colours don ´t suit my face. One of the pan is too glittery. Such a finely milled powder that it like face-tune in a palette. It evens out the skin so much, and without fail, every time that I am wearing this I am complemented on how great my skin looks, yes it’s pricey but it really does work wonders! Used in tan skin looks like natural luster. I hate the brilliance of coarse particles, and the fine powder of hourglass makes people look superior and textured. This makes me look so healthy and gives a natural glow. I’ve found use for all the shades, despite my pale skin. I’m always looking forward to applying these powders. It also makes it easier to look more natural even with highlighter and face powder. Love it! Definitely buying one of the two holiday palettes. I first borrowed this from a friend, and fell immediately in love with it, and am so glad it's on Cult Beauty! This is such an incredible powder. Over foundation (or even without) it evens out the skin tone and blurs imperfections, smooths the skin texture, never creases, isn't drying, and gives a subtle, gorgeous glowy look (you can also layer the lighter tones and use them as perfect highlighters). The only thing to be careful of is that I have medium/olive complexion, and the lightest (middle) shade by itself is a bit too pale for me. It's absolutely fine when mixed together with the other shades, though. I adore this palette! Was so happy to get this in the sale because it is very expensive, but I must say it it well worth it. I’ve been looking for this type of finishing powder for a while and I’m so happy I finally found it. This gives you an amazing inner glow. Love Love Love. This is such a nifty little palette. If you like to perfect your base and like a polished look, you'll love this. I bought it after reading Temptalia's glowing (!) review and have never looked back. Whenever I have an event to attend that I know I need to bring my best face, I use this because it blurs any imperfections and adds radiance without being obvious. Dim light is the most subtle of the three, a neutral satin powder with a whisper of shimmer that doesn't look obvious on the face. It works to blur imperfections and I love this to set under my eyes when they're looking particularly dark. I also use it all over my face when I want to set my base but look radiant. I used and loved it so much that I purchased a full size when I ran out! Incandescent light is a shimmery champagne that I like to use as a subtle highlight or mix with the more bronzy Radiant light in the summer. I find Radiant light makes a very pretty (if subtle) shimmery bronzer, so all in all this is a very versatile palette that can be used in multiple ways. Received this palette as a gift after wanting it for a long time. It was not actually loved at first sight - I couldn't really see what the powders did for my skin and the finish is very subtle. Now I am crazy about them though. These powders give your skin a 'lit-from-within' luminosity and just make you look really glowy and awake. Dim light and radiant light are my favourites (incandescent is more of a highlighter, it has shimmer in it). A dim light I dust over my forehead, chin and nose before going out and radiant light I use as a subtle bronzer. Very beautiful product.